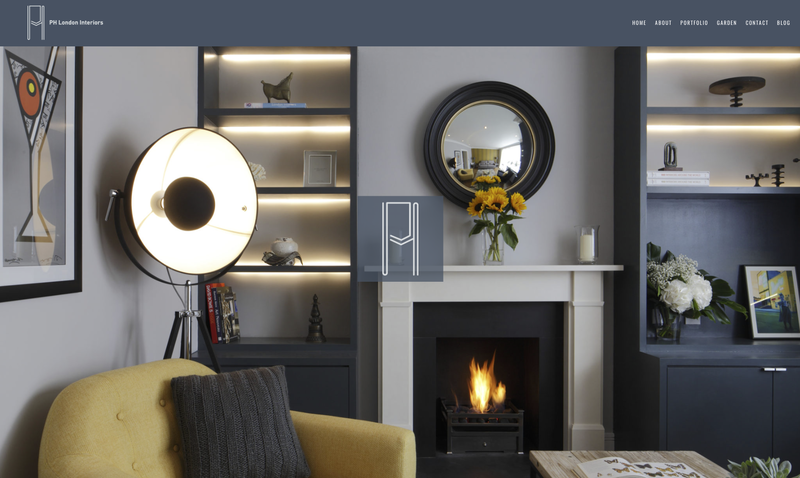 We worked with interior design and landscaping agency to update their existing website with new branding, optimised content and a better user experience for visitors and potential clients. 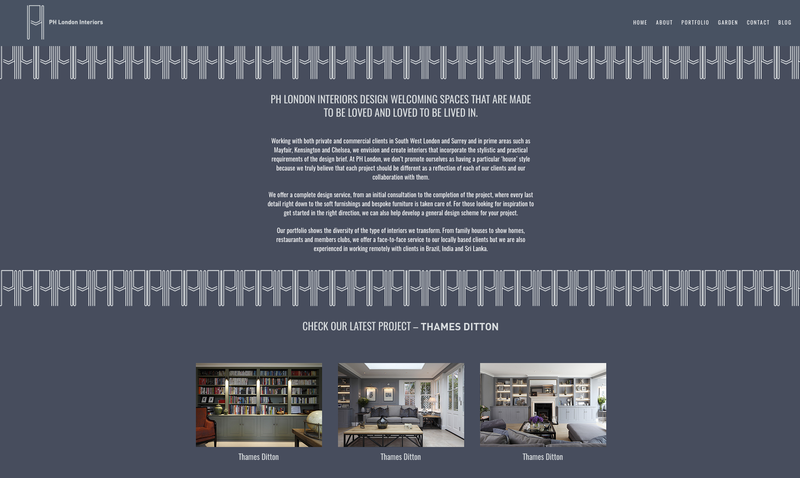 Following our redesign of the branding for PH London, we got to work on the development of a modern, mobile-friendly website for this London-based interior design agency. 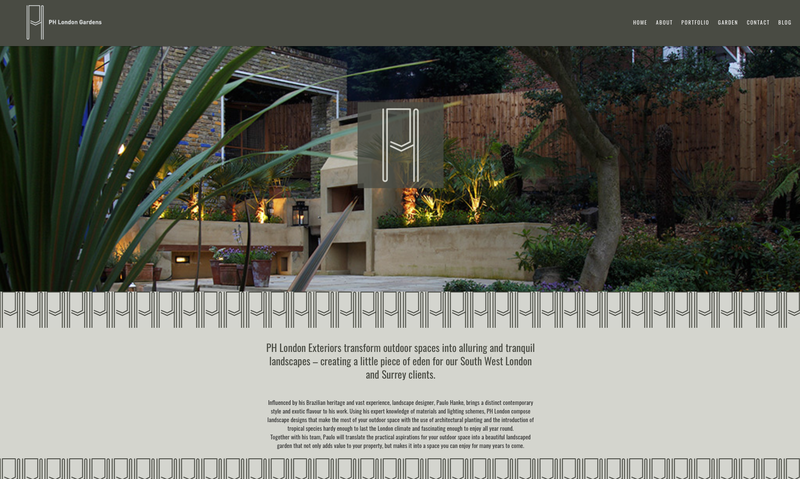 The website was built with an emphasis on imagery as we were keen to give the high-quality images from PH London’s outstanding portfolio of projects the prominence they deserved. 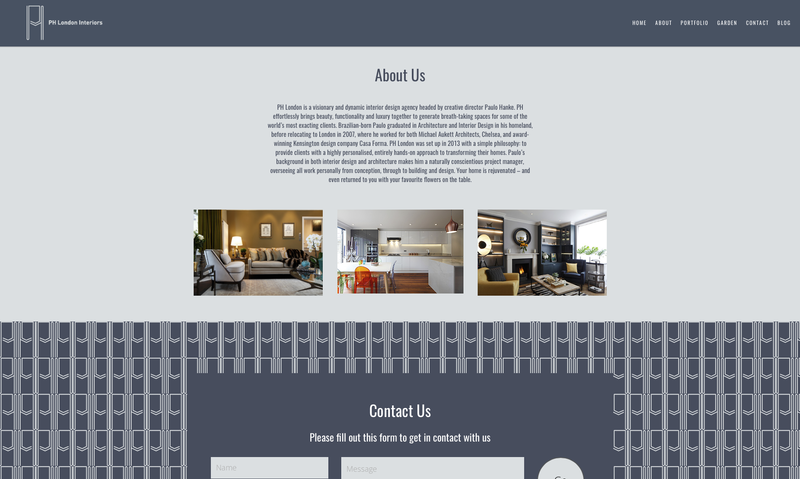 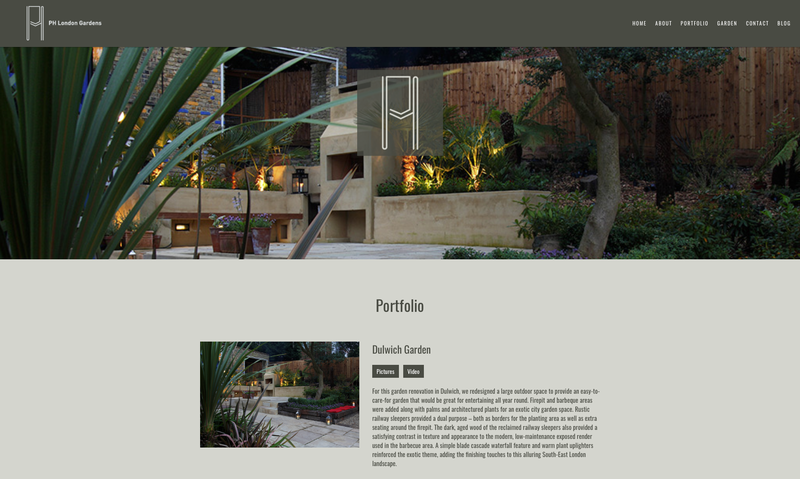 We also built a separate part of the website for the landscaping or ‘garden’ side of the business, which was branded slightly differently to the main ‘interiors’ section of the website with the use of an earthy colour scheme. 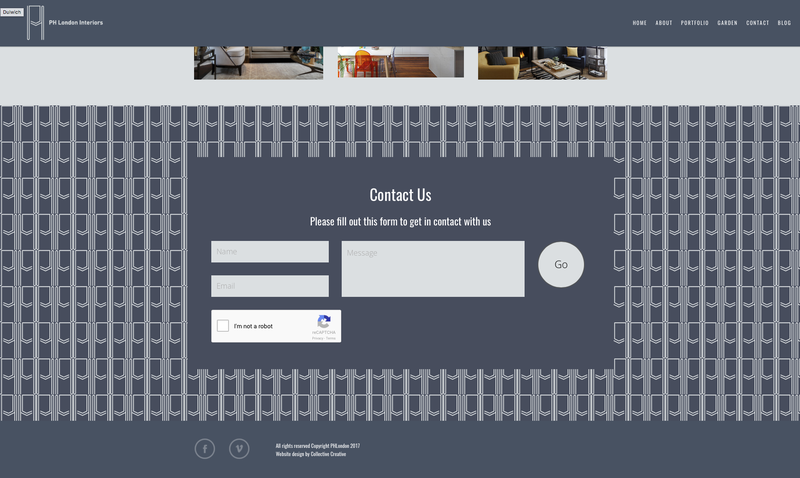 This was an important feature of the website’s structure, creating a definite separation of the two aspects of the business whilst making it as easy as possible for the user to reach and browse through the section of the website most relevant to their needs and requirements. 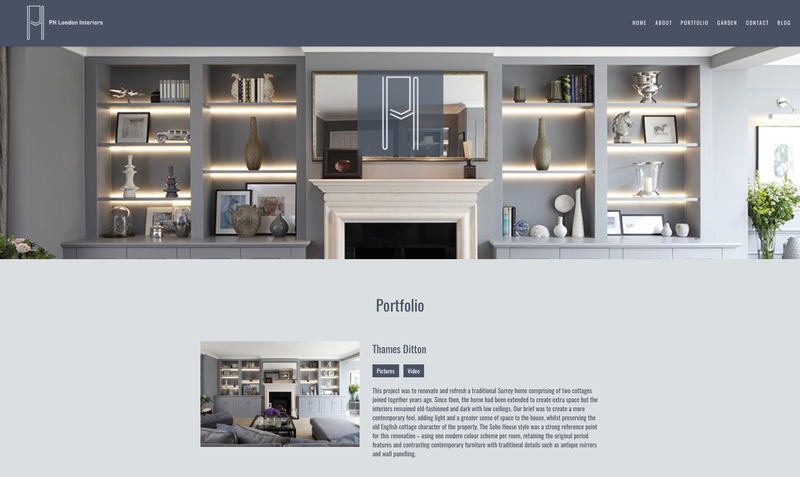 All the copy on the website was either redrafted or created from scratch, as part of our comprehensive website design package to ensure optimised, user-friendly content throughout the site.